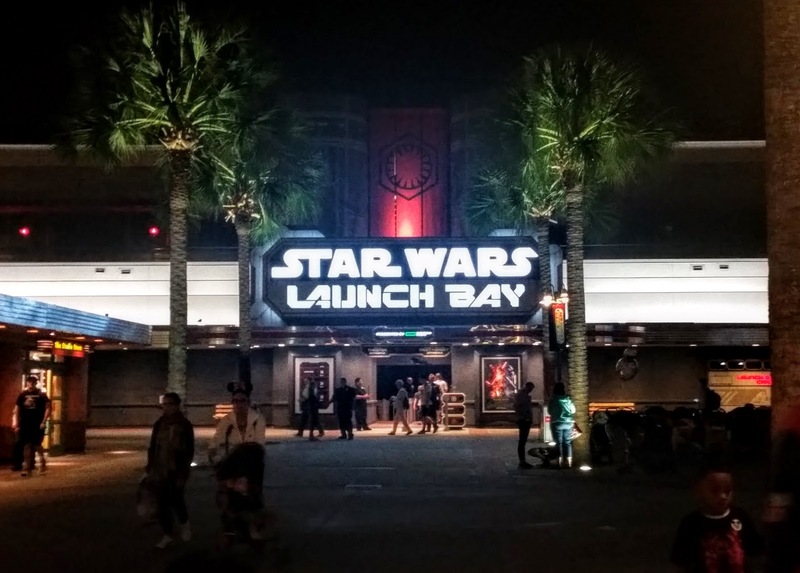 Kingdom Konsultant Travel Blog: Tink's Tips: Extra Star Wars Magic! I hope this post finds all of our friends in the North East safe, warm and with power. As an ex-Bostonian, I totally feel your pain when a big storm rolls through like this one. (Hence, why I chickened out and moved to Florida.) And for my fellow Southerners, I hope everyone is enjoying what will probably be the last of our cooler temperatures until the fall. Prepare yourselves, Floridians.... summer weather is coming (as are the crowds). Today I was hanging out with my 4 year old little dude, K, and we were talking about our favorite things to do in the parks. We talked about rides and getting "treats", but funny enough, K said his favorite thing is "seein' the Star Wars guys." Like most kids, K loves him some Star Wars and topping his list of park activities is actually something that most people easily overlook, so that inspired my post today. I wanted to pass along a tip for all of my Star Wars fans out there, who are feelin' the force. Watch the show from in front of the stage once, but then, make sure that for another show time you find yourself behind the stage, on the other side of the giant planter. (I would recommend being on the side closest to the Frozen Sing-a-Long stage.) Right before the show starts, the cast will walk from the Chinese Theater, out to the stage, using a temporarily roped off walkway. They then go into little tents on either side of the stage, and when their part in the show comes up, they emerge from the tents, greeting/glaring at the backstage fans, and interacting as they get ready to go onstage. They do the same walk back to the Chinese Theater after the show. This is a super cool way to get even more up close to the characters and maybe even get to have some private interaction time. When I have done this with my kiddos in the past, Darth Maul had a staring contest with my 8 year old daughter, D, and didn't unlock eyes with her until he was all the way up the ramp and going on stage! I don't know how she wasn't totally freaked out, because I find that dude SO scary! We got to interact with Vader, Kylo, Chewy and Bobba Fett too! Oh, and C3PO even hung out for a bit. The kids loved it and I was SO glad we decided to check out the backstage action! Until next week, everyone, have a magical day!! !